The wide spread of high technology in clinical medicine leads to the fact that doctors are constantly emerging high-precision diagnostic methods, one of which is the barium enema and colonoscopy. However, many people question, what is the difference between these methods, and what better way barium enema or colonoscopy? 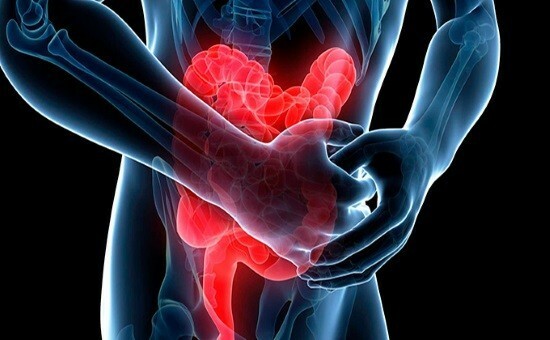 Each of the two methods is suitable for examination of the colon, but there are characteristics that makes it possible to use one type of examination if it is not available or contraindications to the second. It is important to note that the choice of a particular method of research should always make your doctor, as only he is able to objectively assess the condition of the particular patient and make a decision about a particular method of study bowel. Colonoscopy or barium enema, allow one to explore the entire bowel and to detect the development of neoplastic process. Despite this, the two methods are fundamentally different from each other, and many people have questions, what are these differences? The main difference, irrigoscopy colonoscopy is the method by which examine the colon. 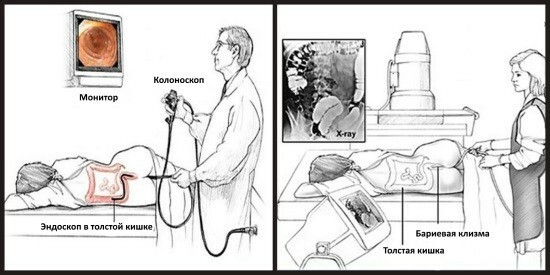 When performing the barium enema does not use a flexible probe with a camera, and using x-ray method of research together with the use of contrast agents (barium sulfate, etc.). It is very well visible the contours of the lumen of the intestine, it is easy to identify the different narrowing, ulceration and development of intestinal obstruction. However, when the barium enema is impossible to identify a small volume of formation in the body wall, making it difficult to diagnose diseases at their initial stages. In addition, in the case of barium enema, the doctor can assess the condition of the bowel only indirectly, by analyzing the obtained x-rays that can adversely affect the detection of small-volume structures in the lumen of the organ. What research method should you choose? If to compare these two methods, it is important to note that none of the methods allows with 100% accuracy to put the diagnosis. There are diseases, which are better diagnosed through radiological examinations (stenosis of the lumen of the intestine, intestinal obstruction, etc.) than visually. And Vice versa, especially if we talk about premalignant and malignant conditions. Only the attending physician, after a full examination of the patient and preparation of a survey plan, you may decide which method of diagnosis of the disease is most suitable. In some situations, the most appropriate use of radiological methods in the early stages of examination of a patient. X-ray examination less painful and not associated with any psychological difficulties. However, his inability to detect minor defects in the inner lining of the organs imposes certain restrictions on the use. Best x-ray use for diagnosing different types of bowel obstruction, as well as surveys are not available parts of the digestive system in the form of pockets or bends. However, if the formation in the lumen of the intestine failed to detect with this method or need a biopsy, then resort to endoscopic examination. Endoscopy allows to detect even minor changes in the mucosa, therefore, the method is suitable for the diagnosis of various cancers, to identify internal intestinal polyps or bleeding. However, many patients suffer a study in psychological terms, as the inflation of the bodies with air leads to bloating and heaviness in the stomach, which persist for some time after the procedure. The choice of a particular method of inspection should be performed only by the attending physician, in this connection, it is not necessary to sign up for a barium enema or colonoscopy. To conduct each method there are certain indications and contraindications, which must be strictly adhered to.